Just before taking off on 3 weeks of travel to Ohio and California earlier this month, I made these three cards at my beloved Tuesday Crafty group. The stamp is from Technique Tuesday and I used some stencils and distress inks to add some interest. The sentiment comes along with the flower stamp. My Mother loved Agapantha's and when I saw this set, I knew I had to have it. She would have loved the cards. Thanks so very much for stopping by. Wishing you a New Year filled with good times, good friends, and good health. Sent these off to a girlfriend. She is a person who still writes notes. Stamps-Clearly Besotted and Hero Arts, Die MFT, coloring Inktense Pencils, paper Strathmore and Wplus9. I couldn't help but color up Holiday Anya one more time for a birthday card. She is so cute. I have fallen in love with coloring, and it is all because of Kelly Latevola of You and Your Big Dreams. Her colored images are so gorgeous. I need lots of practice still, but even I can see I am improving. Back in February, I had a very busy week and I missed the Merry Monday challenge closing date for a challenge using bows. I made the card before I double checked the closing time. I used a Lawn Fawn stamp set, some distress inks, some post it's for masking and stickles for shine. The bows are glittered epoxy bows left over from a Simon Says Stamp card kit. Lawn Fawn for the stamps, Pretty pink Posh Die, CTHM Glitter Tape, Coloring Inktense pencils. White Christmas is the name of the Stampin Up stamp set that I am totally crushing on. I sat down with it to play a bit while increasing my stack of holiday cards. I have 5 cards so lets get on with it! I love that they provide both the right and left facing birds. I had so much fun making these...I wonder if they will get stamps and be mailed. For my darling and dear MIL! Happy Birthday! This Stampin Up set has some adorable images. The first card I made from this set can be seen here. Here are the two remaining images and sentiments. Today is my last crafty Tuesday of the year with the group of women I've recently joined. I wanted to bring a little token something to give to each of them. I stopped by Target and found cute gift card sized pillow boxes in white with green and red foiled dots. They were 3 to a pack for 1.00. I picked up a bag of Ghiradellli Peppermint Bark squares and a bit of red gift bag filler. I figured I could put 3 squares in each with a bit of filler and make a tag for the front and it would be a cute crafty lil something. I cut the tag with a PTI die, stamped and white embossed the Stampin Up Sentiment and added a string bow with a tiny Pretty Pink Posh jingle bell. Hope you are having a fabulous day! I missed my blogging anniversary this year due to travel. I wanted to thank my followers for dropping by and leaving comments when they can. I have a bit of blog candy to send out to one of you. Just leave a comment by 12-6-2015 Noon USA Eastern time and leave me a comment; if your comment does not allow for email replies please include an email address at which I can reach you. The blog candy includes a small Lawn Fawn stamp set and matching die, a Pretty Pink Posh Die, and a small Spellbinders die set. 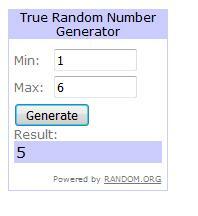 Edited to Add: Winner is #5. Congratulations Greta. It'll be in the mail Tuesday! This darling girl is Holiday Anya 3 by The Greeting Farm. With Thanksgiving behind us, the holiday card scramble is in full gear in my crafty spot. Since it is such a busy time of year, I am going to post photos and not much else. No time for reading lengthy posts I fear.